On May 30, 2012 Dr Joshua Edelman and Dr Aneta Mancewicz, research fellows at Central School of Speech and Drama, University of London, conducted a workshop entitled ‘Watching the Watching of Shakespeare’ at The Ends of Audience Conference at Queen Mary, University of London. Mancewicz is a Global Shakespeares regional editor for Europe. At the center of a large room, there were four computers connected to projectors and speakers. The computers were linked to the Global Shakespeares archive, with projections of selected clips from the archive on four screens around the room. 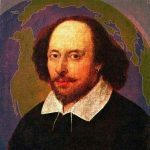 The effect was that of a visual and aural cacophony of Shakespearean images, all of which were artifacts of performance but many of which might have seemed incomprehensible or odd, due to the multiplicity of languages and performance styles. Edelman and Mancewicz took turns posing questions over a microphone to the participating audience. There were two sets of four videos with approximately thirty questions for each set. They asked, for instance, which performance the participants best understood, which they found most interesting and which most frightening. The questions moved from the more objective and emotionally neutral to the highly subjective and personal. 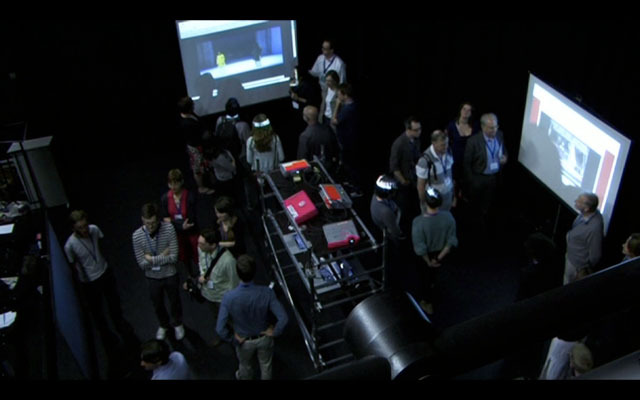 After each question, participants indicated their choice by physically assembling around one image. The physical moving was negotiated by the group, and the nature of the answers was conveyed both by the size of each group and its behavior. The room was loud enough that verbal discussion amongst participants was difficult, so the dynamics of inter-audience relationships was expressed kinesthetically. After the questions, the projections and sound were turned off, and the participants were engaged in a group discussion on the audience dynamics and the global nature of Shakespeare performance and research. They were asked, for instance, what was the perceived difference between the video-mediated performance of Shakespeare and the live actions of the audience members. What motivated their choices? To what extent did they feel influenced in their answers by the people around them? 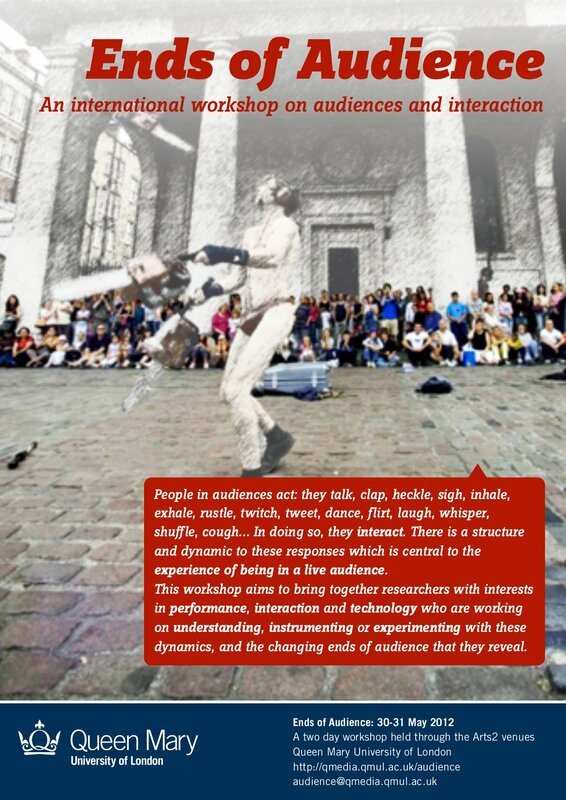 The workshop made visible the group pressure and the negotiation of individual opinions by drawing on the global and historical breadth of Shakespearean performance that is available on the Global Shakespeares archive.